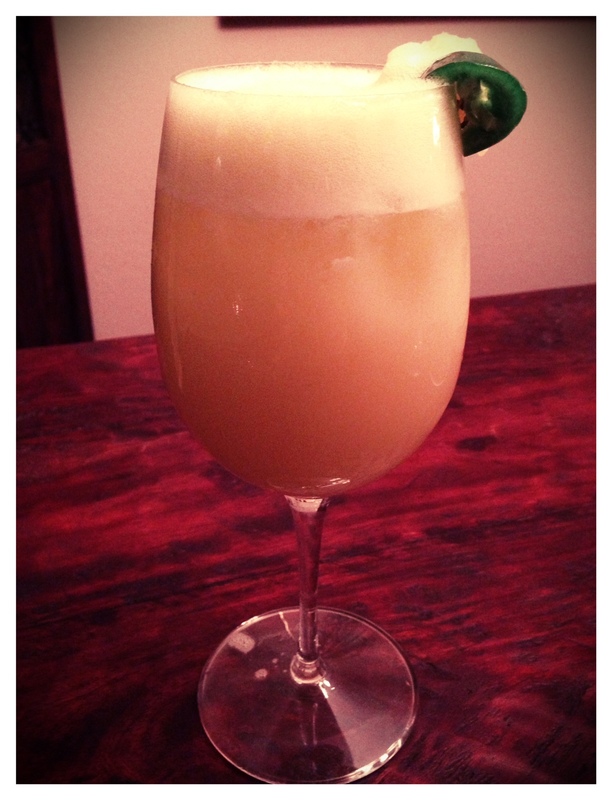 Pineapple Jalapeno Margarita | Kitchenpants! And now, a jalapeno cocktail recipe from a girl who gets the It’s-Too-Spicy-Sniffles from licking a candy cane. * Yes, I am a big baby when it comes to heat, but this is really good. Promise! When you are shopping for this recipe, be sure to use pineapple that is really ripe and sweet. You will taste the pineapple and orange at the front of this drink, and the heat at the back. If you aren’t sure about how much heat you want, add just a few slices of jalapeno, blend, taste, decide, and repeat if needed to build the heat to your liking. Also, be sure to use quality tequila. There’s no sense in using fresh fruit and peppers if you are going to jack it with plastic-bottle-nastiness. Measure out of all your ingredients. Add all ingredients to the blender and blend completely. Serve in a margarita or wine glass. 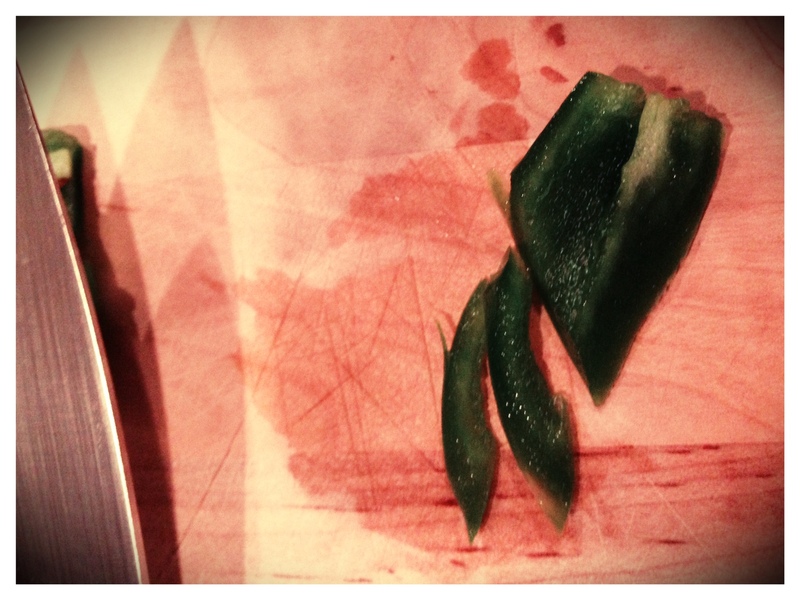 Garnish with a jalapeno and pineapple. Enjoy! *I can’t take credit for this little gem of a phrase. New friend Ginger came up with it the other night upon biting into a piece of pickled okra and immediately winning the Quote of the Night (defined below). A verbal award bestowed upon the girl who crafts the most entertaining comment during the course of an evening by any other woman in her company. The Quote of the Night may be awarded on the basis of comedic value, wit, snarky value, or crassness. Also abbreviated QOTN, this award may be given at any point during the evening. In general, the quote of the night brings an abundance of laughter upon its debut, but does not hold up well to repeating to others not immediately present for the debut.